Founded in 1792 as Smithville, Southport got its name in 1889 as a result of an campaign to build itself into a major port city. This may become a reality soon. A 600 acre parcel of land has been acquired and approved for the proposed “North Carolina International Port”. The historic town, with many restored and architecturally attractive houses, is the home of the state’s official annual NC Fourth of July Festival. Historic downtown is lined with antique shops, specialty shops, restaurants, and a public waterfront park. Southport is ranked by both Rand McNally and Kiplinger as one of the most desirable places in the United States to retire. Listed on the National Register of Historic Places, this deep water seaside town has deep roots in the Civil War and once was a hide-out for pirates such as Blackbeard and Stead Bonnet. 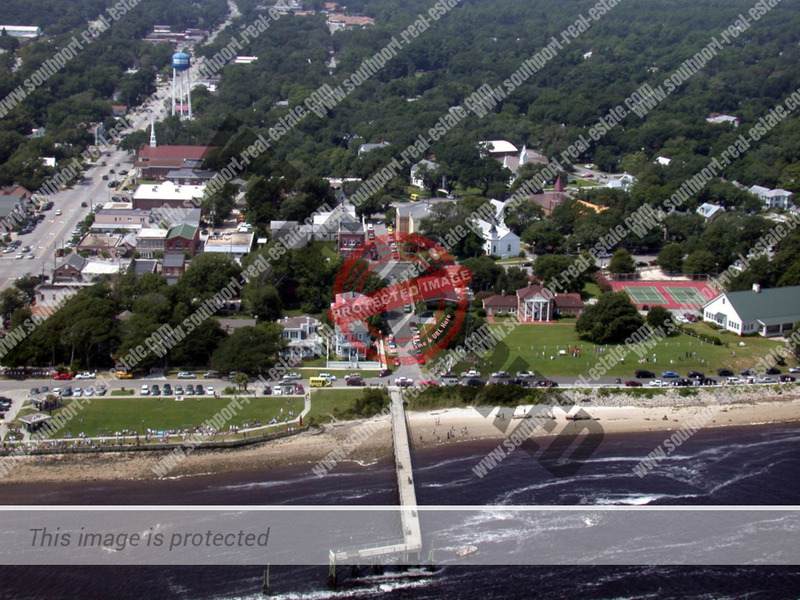 Southport is located at the entrance of the Cape Fear River. Caswell Beach and Oak Island are directly south.